Earnest Thorne Thompson studied at the Massachusetts School of Art and the Museum of Fine Arts School in Boston. From 1922 to 1929 he taught at the University of Notre Dame, where he became a Professor and Director of the School of Fine Arts. 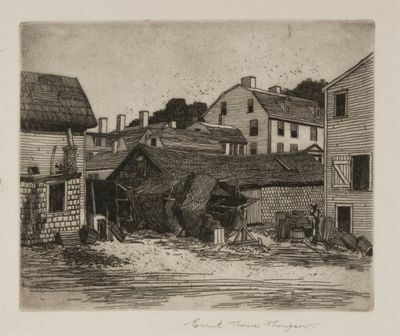 In 1929, Thompson began teaching at the College of New Rochelle (where he also became Chair of the Fine Arts Department) and upon retiring in 1968, moved to Maine.